Speaking during Diabetes Prevention Week that is currently take place across England and Wales, the 53-year-old said at the time of his diagnosis he was overweight and felt tired all the time. Patrick said: “I was randomly selected to take part in the exercise group, which I had dreaded as I was not active at the time I signed up. I was asked to attend a one-hour gym session three times a week for three months. 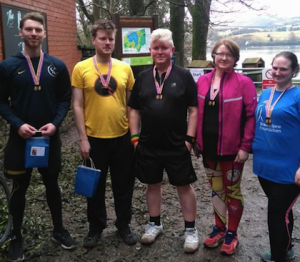 After realising he was enjoying running, towards the end of the trial Patrick signed up to take part in a two-mile fun run raising money for the Brain and Spine Foundation. “The cost of treating diabetes could hit £17 billion by 2035, crippling the NHS, which is why it’s crucial we find out the best way to treat type 2 diabetes and the complications associated with the condition.